Mike, I'll let others give their thoughts on the value. have people that follow them! ---Hemmings Motor News--magazine and website. Still the foremost place for serious hobbyists. ---Website of the Horseless Carriage Club of America. cars built before World War II. Can anyone help him by giving an estimate of the value? I am no authority on Chandler vehicles. 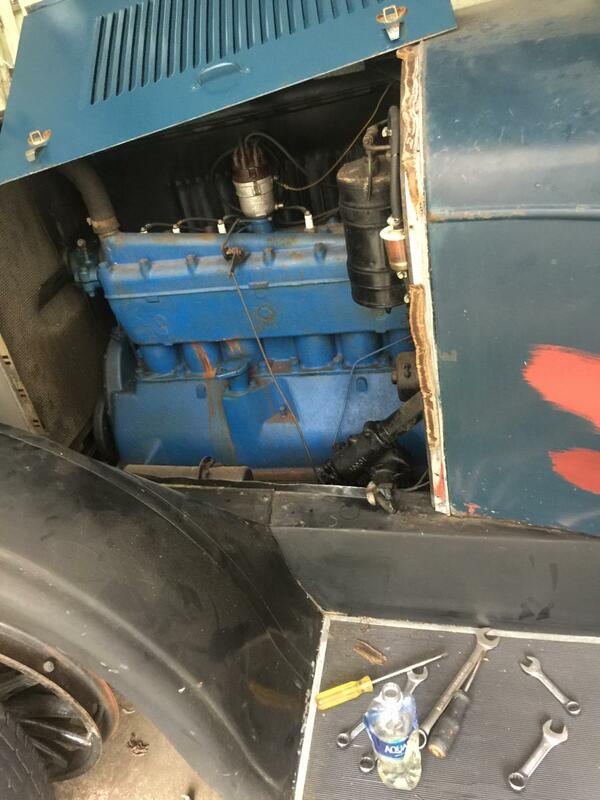 It starts, drives and stops so that is worth $5000.00 The interior looks nice, if it is done and can be proven as original thats another $5000.00. It could be driven and shown as is but would require six or seven thousand for paint, four thousand for bright work a thousand for tires and another two thousand for incidentals. That is over 20,000.00 for a 40-45 mph car that would be worth maybe 15,000.00. Personally I would ask seven thousand and take the first four thousand + offer I got. That is IF you want to SELL it. There is a very nice completed 1929 Chandler in Hemmings for $34,5000.00 on a car that cost $80,000.00 to restore. 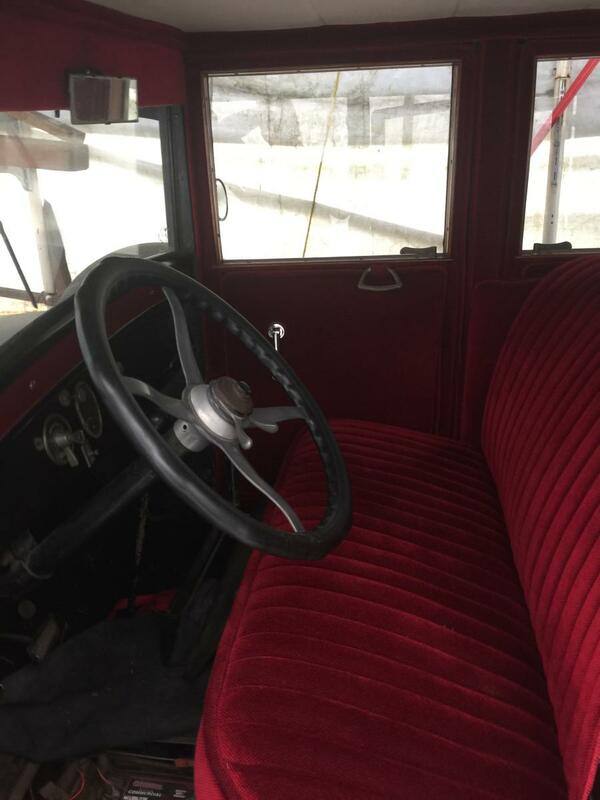 Unless a person had a specific need/desire for a 1925 Chandler the 1929 is at least five times more desirable especially since it is a 50-55 mph vehicle. This is a tough one. A lot of people here, including me, really do not like giving out estimates of value or critiquing other people's antique cars. And this car, unfortunately, is a bit tougher than many are. It is one of nearly a hundred (okay, exaggerating a bit, but at least about fifty makes) makes of cars in that odd ground, not common enough to have a devoted following and active marque clubs, not historically special enough (Stutz, Marmon, the three Ps etc) to have specialists both collectors and restorers, not pre-'16/brass era, not CCCA classic, too common to be rare, too rare to be common, you get the picture. Chandler does have some following, Cleveland, their lower priced companion car a bit less so. A lot of those many marques are good reliable cars of their era. They can be great fun to drive and excellent tour cars. Many potential buyers are scared off by the rarity and lack of club support, which is unfortunate, because if such a car is in decent mechanical condition, they are easy to work on, and most parts one is likely to need are available or easily adaptable from other cars. This car, except for that ridiculous radiator "ornament", from the outside appears to be a nice mostly original car. Nice original cars are popular right now. The patch paint on the side of the cowl could probably be cleaned up and made to look better without destroying the original exterior. (I would guess it had a radio antenna there?) The interior? I hate to say it. Not done correctly. The material is not correct era type. The colors are not right. And the way the seats are done, the piping, the width of the pleats? All incorrect, and a bit gaudy. I see that Tinindian slipped in while I was typing. But I was going to say about the same range for as is. Basically, I think you may be able to get about $5000 to $7500 tops as is. Restored, even very nicely, I doubt one could likely get more than about $13,000. And you cannot restore it for twice that. Much more than that? Buyers want pre'16 or CCCA classic, or a well supported popular car. My opinion, for whatever it is worth. ...The interior? I hate to say it. Not done correctly. The material is not correct era type. The colors are not right. 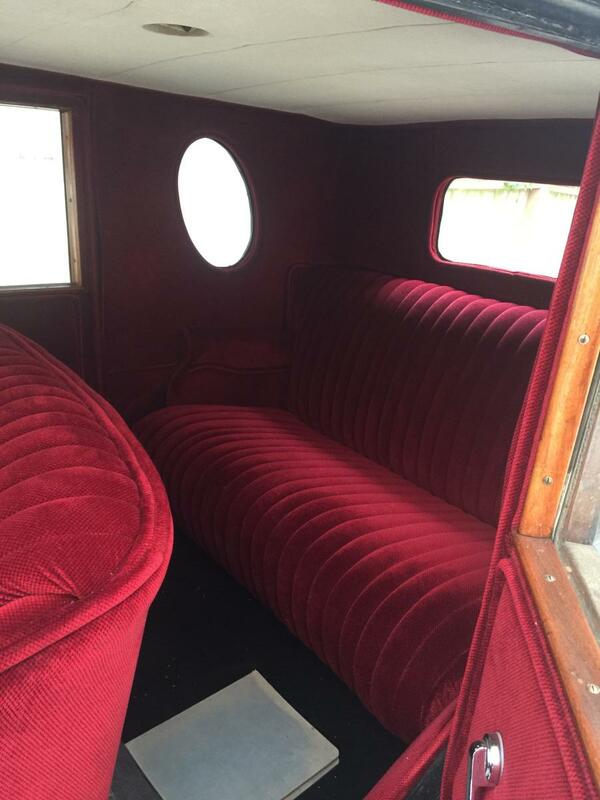 And the way the seats are done, the piping, the width of the pleats? All incorrect, and a bit gaudy. The interior didn't look correct to me either. from a nice original car. far down the list you'll see a "Chandler and Cleveland" section. your car if the price is fair. At least they could help you out. Also, there is actually a Chandler Cleveland forum page on this AACA website. Best advice is to keep it and enjoy with your family and friends. 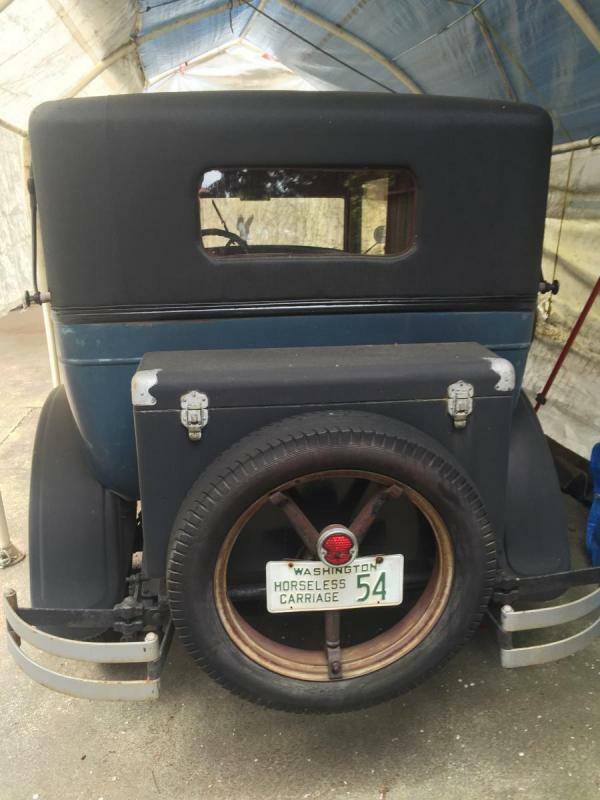 Chandler made one of the best car from the 1920's. If your looking for information get a hold of the Chandler club. Also if you are looking to sale it. There news letter is your best bet. 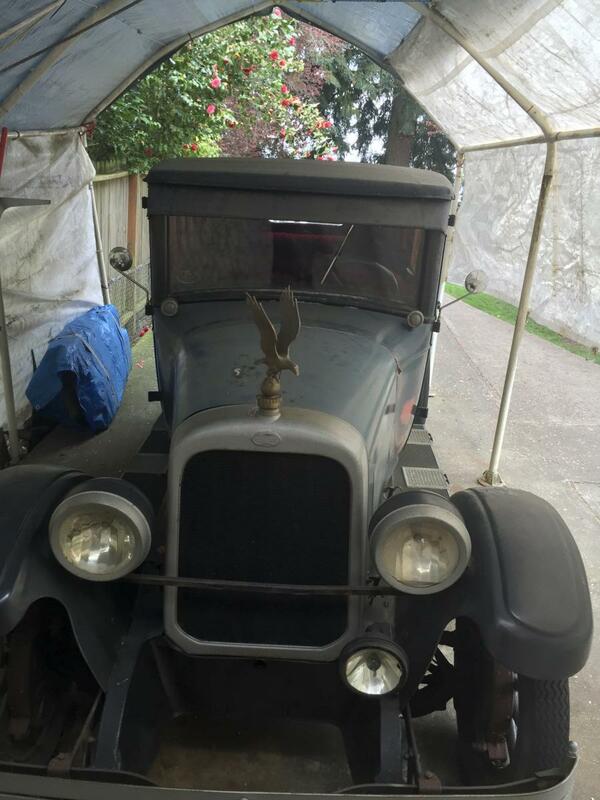 Based on my experience actually buying several cars from this early 1920’s era, you should be able to get $10,000 to $12,000 for this rare, running, but non-CCCA Classic vehicle.